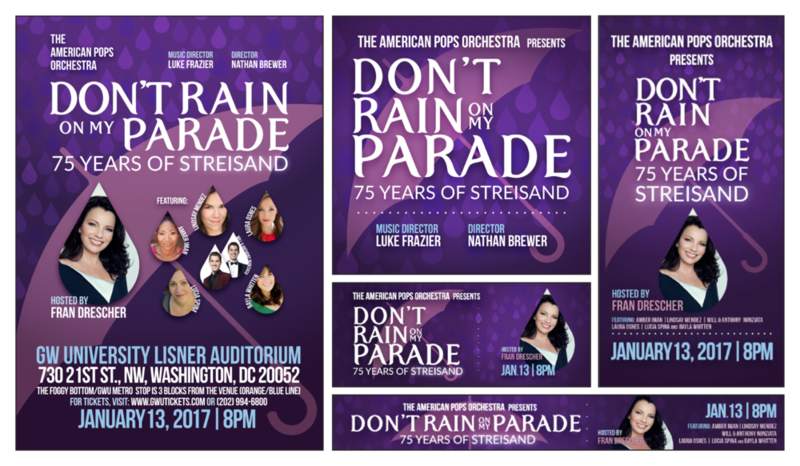 For my second collaboration with The American Pops Orchestra, I was commissioned to create concert poster and marketing materials for a show featuring music by Barbara Streisand. The objective was to create a visual theme that honors and celebrates the works of Streisand. Graphic design and type treatment were created with Adobe Illustrator. A special thank you to Luke Frazier (http://www.lukefraziermusic.com), and Kelley Lund of Nouveau Productions.